We pioneered the industry by providing fast, convenient oil change services back in 1979. 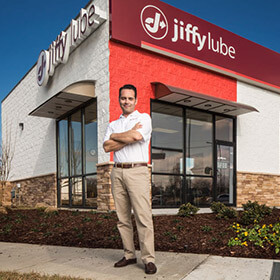 Decades later, we continue to offer the Jiffy Lube Signature Service® Oil Change, as well as additional automotive services your vehicle may need including tire rotation, windshield wiper replacement, engine and cabin air filter replacement and more! With our fast, convenient expanded services, You Can Do More in a Jiffy™.